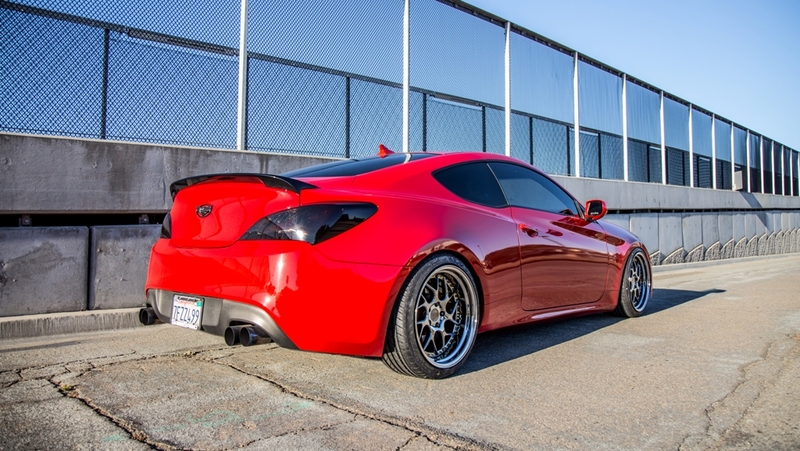 Perfect flush fitment without having to do very much at all. Simple, Clean.. The DS01 wheels have been designed to fit a variety of top ranking vehicles in the auto industry from European and Japanese automakers. 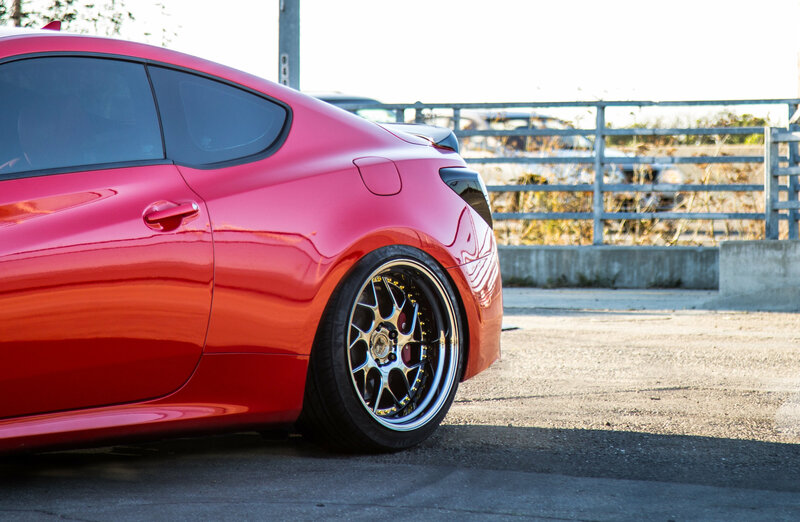 The DS01 was originally only available in 18” staggered fitments, but now they are available in 19" staggered fitments. The DS01's design keeps it neat and simple with an elegant twist spoke design. The Vacuum finishes and fashionable complementing rivets gives it an aggressively classy appearance. Our newest finish of Black Vacuum can be seen here on this Genesis. 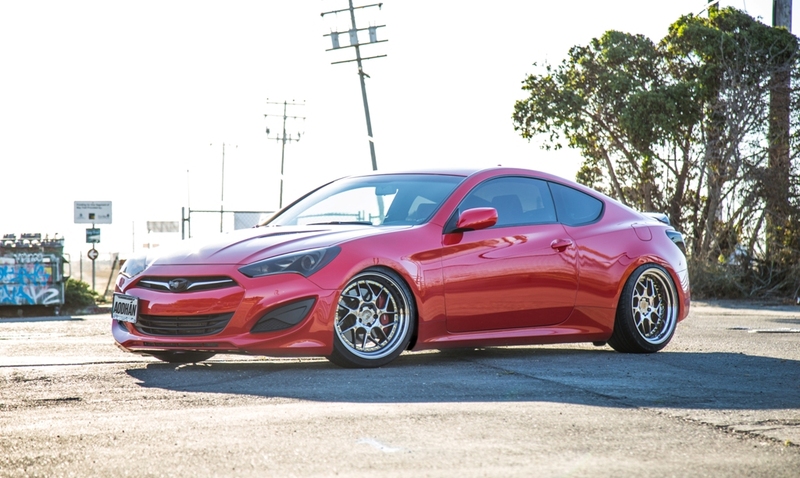 Seen here is a 2013 Hyundai Genesis Coupe 3.8 Ultimate with Brembo brakes, Lowered on Megan Coilovers. The Megan coilovers allow the DS01's to fit just right in those fenders. 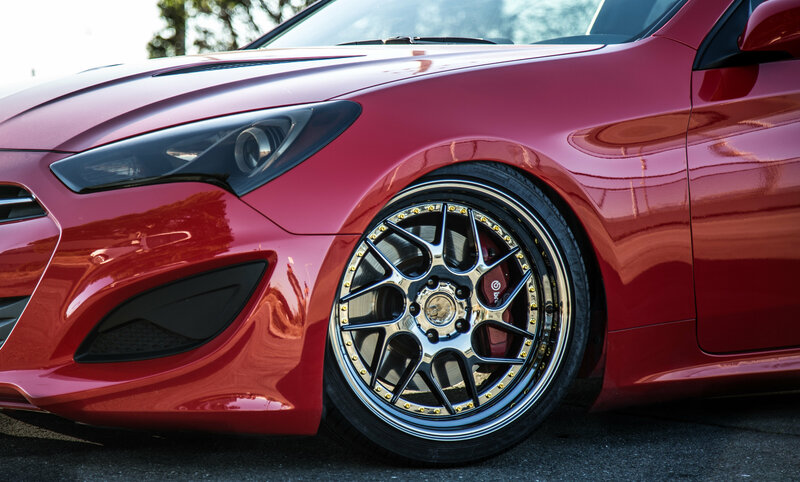 The Hyundai Genesis's fenders come pre rolled from the factory, so no rolling required! 19x9.2 +22 with a 245/35R19 for the front and 19x10.5 +22 with a 265/35R19 for the rear. 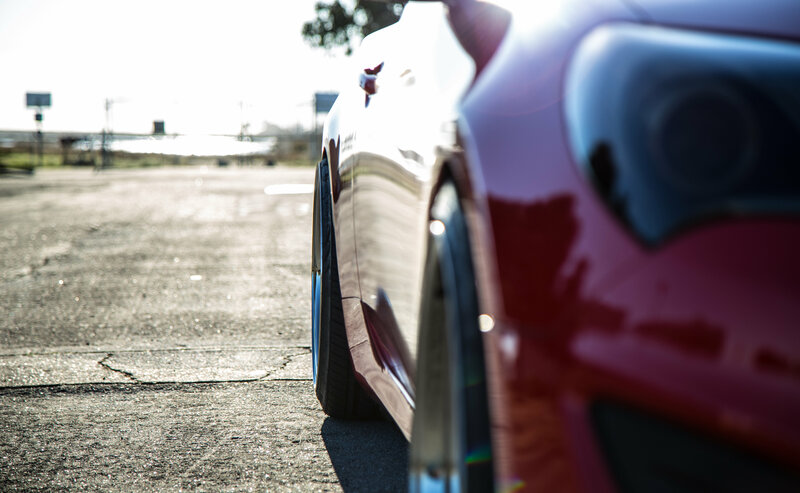 Perfect flush fitment without having to do very much at all. Simple, Clean.. Many wheels in today's market struggle to keep up with modern vehicles. Having trouble clearing bigger brakes. More and more vehicles in the market are coming out with options for bigger brakes. Aodhan definitely took that into mind when designing these wheels. No spacer required, still with an ample amount of clearance from wheel to caliper.